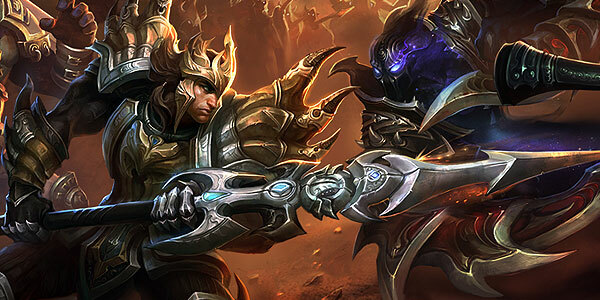 Riot Games has officially launched Team Builder, a new team set-up queue for normal games, which will exclude the ranked ladders for the time being. After a long beta testing period, Team Builder is now available in all servers and is here to stay according to Riot Games. This system allows players to create their own team setup or queue for one using a specific champion, role and position. Because Team Builder is a brand new way to handle champion select, we started with basic elements such as choosing the champion, position and role you intend to play in a given match. We know that the ban and pick order mechanics of the draft process are critical to the competitive nature of ranked mode, and we’re not quite sure yet how these would fit into Team Builder. Team Builder seems to be ideal for training purposes, since players can easily pick a specific role or champion. However, there are a few concept lines that could be useful for the competitive level – who wouldn’t appreciate a permanent balanced team in ranked?